It's the new year eve, and everyone is busy making resolutions for the upcoming year. If you are determined to get fit in 2016, you might consider buying the latest fitness band in the market, the Swipe F-Band. The band is lightweight, comfortable and stylish. The comfortable texture is suitable for daily use, and can be worn all day and all night long. The device offers features like steps tracker, sleep monitor, and call reminder. Steps tracker will help to accurately track daily statistics like steps taken and calories burned. Set your targets and take your first step towards fitness. You can revise your targets as and when required, so that you can have a rigorous fitness schedule. The sleep monitor feature monitors how long and how well an individual sleeps. Silent wake alarm can be activated as well. The band will also notify the users about any new incoming calls, thanks to the call reminder feature. 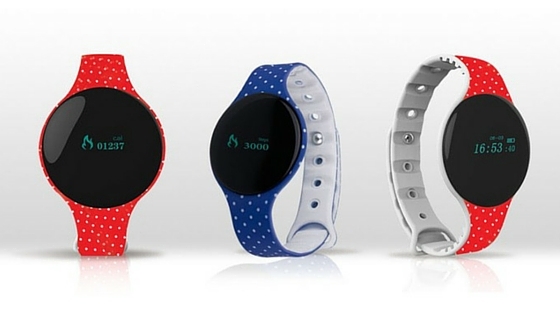 The users can sync all their data, including fitness and sleep records, with the F-Band app via Bluetooth. The manufacturer claims that the data of up to one calendar year can be saved. The band comes with a rechargeable 55 mAh battery. The charge time is approximately 30 minutes via USB charging cable. The device is available in red and blue color options, exclusively on Snapdeal at a price of ₹1,499 ($25 approx.). The registrations are already open, and the sale starts on January 7th next year.